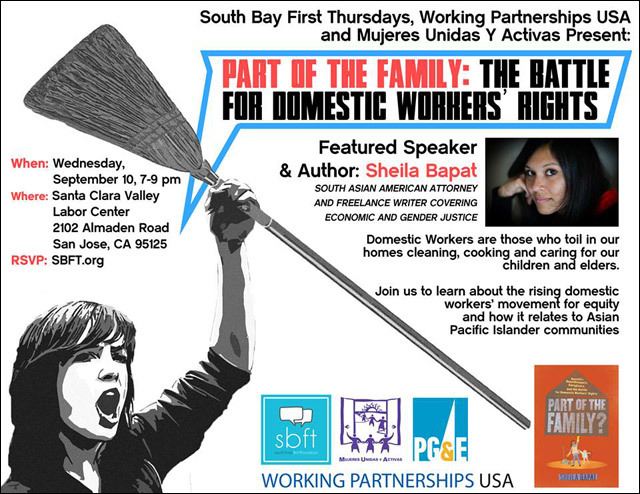 Join South Bay First Thursdays to learn about the rising domestic workers' movement for equity and how it relates to Asian Pacific Islander communities. Domestic Workers are those who toil in homes cleaning, cooking, and caring for our children and elders. Help us spread the word about this exciting upcoming event to your constituents and community. The event is free, but you should RSVP here.